Thursday night of this week I arrived at the campus of Puget Sound Adventist Academy to attend a board meeting. 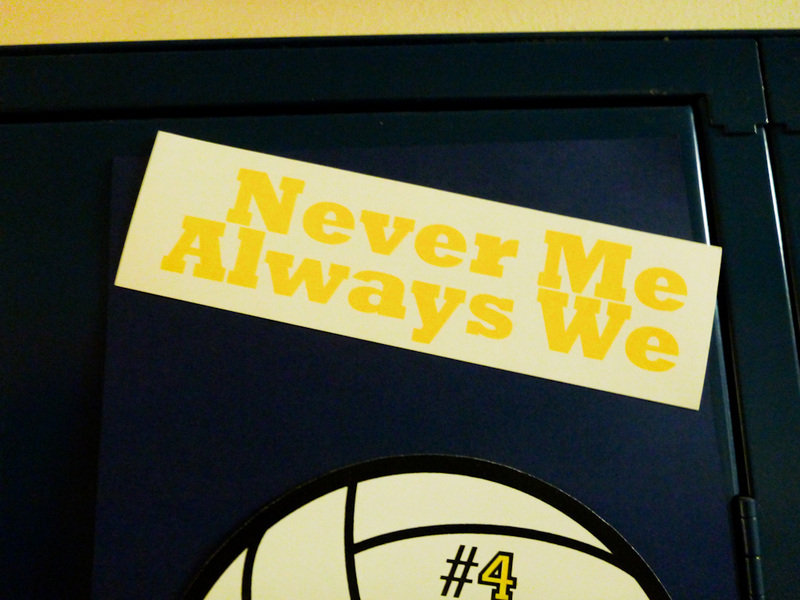 Walking past a hallway locker, I noticed this valiantly altruistic bumper sticker. The light was dim, but you can make out what it says. You can spot the multiple parable-applications as well as I can, right? I can see at least three. First, notice the upper third of a basketball at the bottom of the photo. Below it, out of sight of the camera, is the name of a girl. She’s obviously on the school basketball team, and she knows that putting the team first is how games are most often won. Second, that’s how life in general works as well. Anyone who enters a career and a workplace learns—or comes to learn—that it’s a happier career and workplace with mellow, selfless people.